Link building is a mindset, not just a process. 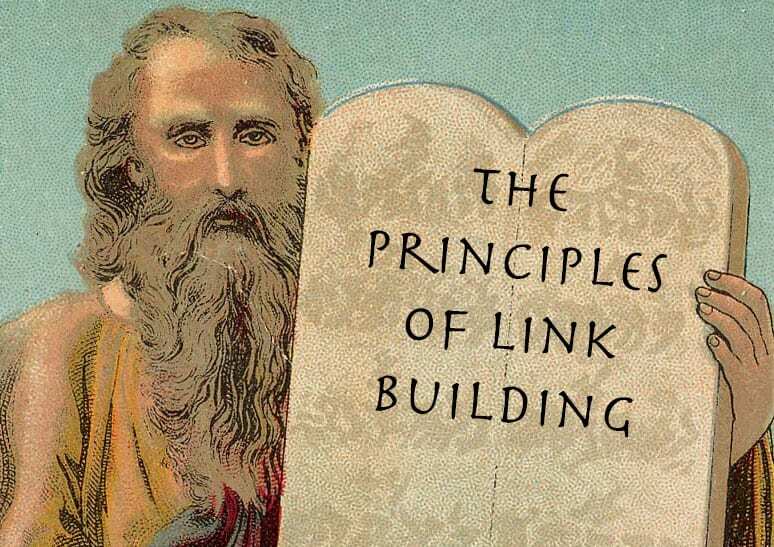 The more links you try to build, the easier it is to think of link building opportunities. This is why I teach the above process to my clients. I want them to start thinking about links. Almost anything can become a good link. You just need to start listening for the opportunities. The fact is, the best links come from offline efforts. Host an event. Speak at a conference. Do something that makes people want to talk about you offline- and convert those into links. When companies first try link building, they often give up. It’s hard and time consuming (even with an awesome method, like I’ve just taught you). This is where they get tempted to cut corners. They begin to take the easiest links that almost everyone can get. At best, Google ignores these links. At worst, these links can get you banned by Google. If you want people to link to you, you have to do something worthy. That might mean producing something unique with your own data. That might be doing something different than everyone else. Good links are not a commodity. Links that anyone can get are rarely valuable. The links that will help you in Google are earned. This might involve sponsoring something, sure. What I’m getting at is that you have to give things away for free, to get a link. That might mean giving away content to a website. It might be giving away data or other information to an organization. It might just mean you need to give away some time, for an interview. Stingy companies don’t get links. Generous ones do. Any link that comes in exchange for money is against Google’s rules. Don’t pay for links. If you do, the link should have a nofollow attribute attached to it. These are not my rules. They are Google’s. That being said, no link is free. Links take time. That time costs you money- whether you pay an employee for PR or take time away from customers to write an article. Links don’t just appear. You have to do something to get them. If you’re doing SEO, your website needs links. While it can be easy to get poor links, good links are hard. I hope these principles can help. Am I missing anything? Disagree? Leave your thoughts in the comments, below.